Search all of Pebble Beach's Central Pebble Beach neighborhood real estate listings of homes, condos for sale plus foreclosures, short sales and Central Pebble Beach information on one easy site. Central Pebble Beach real estate is some of the most highly sought after real estate in all of Pebble Beach, second only to the Pebble Beach Lodge area real estate, which is located around the world renowned Pebble Beach Lodge. Central Pebble Beach is located in the central part of Pebble Beach with Spyglass Hill Golf Course and Poppy Hills Golf course as well as Stevenson's Upper School within its boundary. 17 Mile Drive along Pebble Beach Golf Links serves as its southern edge, 17 Mile Drive between Birdrock Rd. and Spyglass Hill Rd. is the western border and the border to the north is primarily open space up to the Morse Gate in Pacific Grove. The majority of the dedicated open space inside Pebble Beach lies inside the Central Pebble Beach boundaries. Real Estate inside Central Pebble Beach is very diverse and can be quite expensive. It is not uncommon to see homes in the lower sections of Central Pebble Beach near Pebble Beach Golf Links and the Pebble Beach Lodge as well as the Macomber Estates area coming on the market in the $20,000,000 range. The upper part of Central Pebble Beach will see the lowest real estate prices around $850,000 with the majority of homes in the $1,000,000 to $2,500,000 price range. Homes inside the Central Pebble Beach neighborhood will vary in size from as little as 1500 square feet to over 10,000 square feet. If you are looking for Central Pebble Beach Ocean view real estate, there are normally several fantastic pieces of Central Pebble Beach homes for sale ta any given time, however be prepared to bust the piggy bank! Central Pebble Beach real estate has some of the best ocean view homes in all of Pebble Beach due to the steep terrain and the angle it has on Point Lobos, Stillwater Cove, Carmel Bay and Carmel's white sand beach. Specifically Del Ciervo Road, Crespi Lane, Macomber Drive, Riata Road and Bonafacio Road are the ones to watch. Many homeowners love this view as it is similar to the view the Pebble Beach Lodge has, but it is from a higher angle and in most cases also offers a view of Pebble Beach Golf Links as well. Central Pebble Beach is home to of Pebble Beach’s most challenging golf courses. Both Spyglass Hill Golf Course and Poppy Hills Golf course are located in the Central Pebble Beach area and both courses enjoy the majestic beauty of the Monterey Pine lined fairways which give Pebble Beach golf courses their own flavor when compared to other courses around the world. Poppy Hills Golf Course is home to the Northern California Golf Association and at the time of writing this is under a major renovation to the course layout as well as the course infrastructure including a new irrigation system, preplace and redesign of all greens, sand cap fairways and a remodel to the club house. There are currently no homes built on the Poppy Hills Golf Course, making it unique amongst the golf courses inside the gates of Pebble Beach. Spyglass Hill Golf Course is a Robert Trent Jones Sr. masterpiece that is always in the top 100 golf courses in the US and is a local favorite. Rated as one of the toughest golf courses in the world from the championship tees, Spyglass never fails to challenge even the greatest golfers. The track is set up as two totally different nines with the front going out towards the Pacific Ocean and being more exposed to the elements and the back nine snaking through the Del Monte forest. Spyglass Hill Golf Course does have homes built on and near the course. Although limited, Spyglass Golf Course real estate is in demand and will certainly demand a premium over similar Central Pebble Beach homes that are not on the golf course. If you are looking for Pebble Beach golf course real estate, be sure to contact us as it could take some time before the right home becomes available for you. 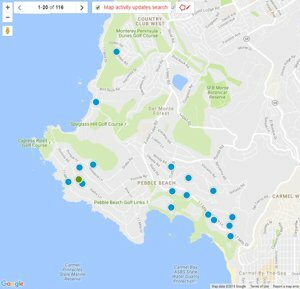 The 3 latest listings of homes for sale listed on the MLS (Multiple Listing Service) in Central Pebble Beach, CA are below. For a full list of everything that is available in Central Pebble Beach, all of Pebble Beach or anywhere else around the Monterey Peninsula you can build an advanced search or contact us and we can do it for you. 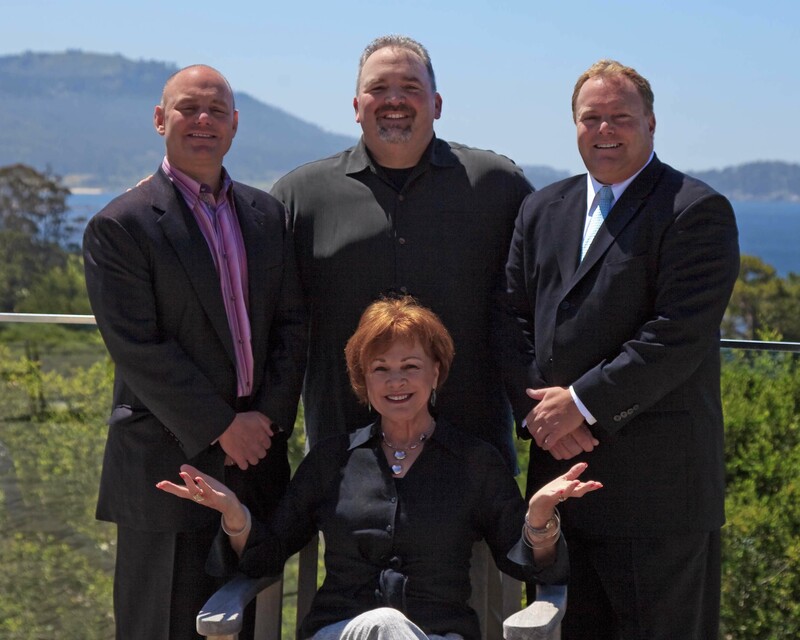 Our website has detailed information including Central Pebble Beach Real Estate Statistics. If you are interested in learning more about real estate values in this Pebble Beach, CA neighborhood, or if you are interested in seeing homes for sale in Central Pebble Beach, contact us.